Designed to maneuver like a model half its width, the TE330 gives you an impressive 33.5'/10.2 m of tedding action. Tight turning circle and constant-velocity U-joints improve handling. Unique trailed framework and hydraulic lift and fold provide convenient transporting. 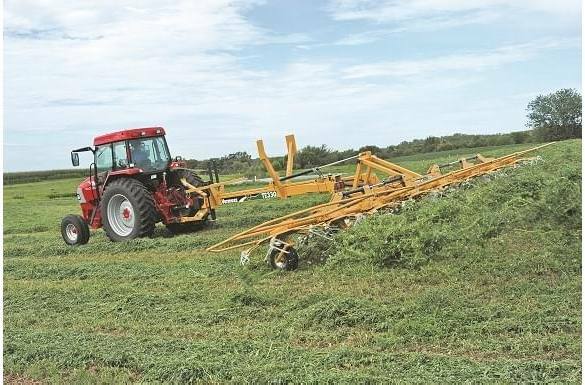 Double-framed construction stabilizes tedder arms as they meet the contour of your fields with pivot points along the driveline for superior flex. And the exclusive Vermeer hooked double tines deliver “bottoms up" for faster dry down.